In case you missed it, I actually reviewed the Roav Viva not too long ago. Overall, I liked what it had to offer, though my car's economical audio setup did not allow me to take full advantage of what the Viva could do. If you have a Bluetooth system, then this is great. The aux line-in solution works fine, but it was more of a chore for me during my use. As a car charger, though, the Viva is excellent with two USB ports that use Anker's PowerIQ tech to give your devices more juice on your commute or trip. All you need is the Roav Viva app (you can grab it from the widget), sign into Amazon, and set up the audio routing connection. So if you're interested, head over to the source link below and enter code "VIVACARA" at checkout. 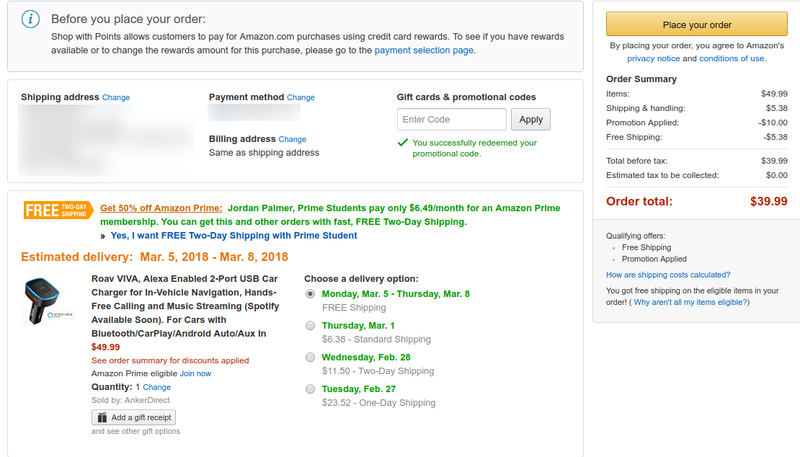 This will knock $10 off your order, then you can be on your way to adding a personal assistant to your car.